The main and the key intention of this paper are to give an insight analysis of the impact of a polygamous marriage and family issues that arises on children, women, and men. The main emphasis will be laid on the impact that a polygamous marriage might have on children, women, as well as its impact on the structure of the family. Polygamy arises due to marriage. Marriage is defined as the approved social pattern in which two or more persons come together to establish a family. Both in traditional African traditional societies, Hinduism, Islamism, and the Christianity view marriage as an important aspect that leads to the development of the humankind. All assumes that marriage only takes place in such an instance when a love relationship exist between two different person of different i.e. man and woman. Polygamy is therefore defined as a form of marriage in which a man as the head of the family can have more than one wife at the same time. It is also defined as the other side of the coin when it comes to monogamy. Polygamy is also represented and discussed as an expanded family structure that are traced to type of marriages in which a husband have two or even more than two wives. Polygamy is still prominent in the African countries and especially the Sub-Saharan Africa despite the challenges that this type of institution poses. Polygamy still exists either being recognized or unrecognized by the state. African traditional societies viewed monogamy as the natural form of marriage. A monogamous married man in most of the African communities could not stand and speak in front of seated polygamous married men; they were regarded as weak men and thus could not stand up for his responsibilities in the society. This is one of the reasons that led most of the African men to be polygamous in order for them to fit into the social classes. Wife inheritance is also another culture that allows men to inherit the wife when the husband dies. In most cases in the African societies, people and persons who were economically stable would marry more than one wife. The poor ones would go for monogamous marriage for economic stability. It was regarded as a symbol that realizes the success of the economic. Children especially the number of boys in a family could provide cheap labour and source of family protection. The cheap labour also ensured that the family realizes higher income generations. The family’s socio-economic stability is then achieved or realized. c) Barrenness. Children are often believed to usher in joy to the family. The desire for children is hence one of the main reasons as to why people marry and some get marry. In case a wife does not bare children, a man brings the second wife in search of children. The problem might be that the man himself is not in a position to sire children but often the women are blamed. d) Migrant labour. When men are transferred to work in towns, cities, or places far away from home; African traditional societies allows them to allow another woman that will stay with him while away from home for work reasons. e) Avoiding adultery. 99% of polygamous married men use this reason as a justification for their undertakings. 1) Partiality of husbands: this is where favoritism comes in. A situation in which a husband favors a certain wife and children. 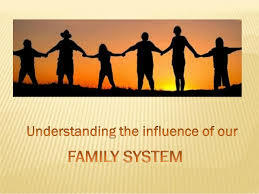 This causes conflicts to arise within the family, between wives, and between children and their father. 2) Impotence: This is a situation in which a man is traumatized because of proofing himself that he cannot sire children even after getting married to more than two wives. Conflicts in the family arise accusing him of not being sincere and not being “a man enough”. 3) Competition and opposition: This is where the wives compete for love and powers. This makes them to be enemies and not friends which in essence directly affects their marriage and indirectly affecting children. 4) Gossip: This is where a wife shares marriage problems with other outsiders like friends. This is a major weakness in a polygamous marriage because a wife will talk ill of other wife and her children. 5) Lack of trust: It is often true that women in a polygamous marriage do not trust each other. When one wife sees the husband with the other wife, she starts believing that they are talking about her. 6) Education: this comes when there is disparity in education. Children of a certain woman may be educated while the other one are non-educated. This raises conflicts among families. Women’s proactive power was really of a great importance to her husband. It served as a way of strengthening her husband’s power. This is one of the reasons that women accepted acknowledged and accepted living with. They were regarded as “women producers” with a principal intention securing their marriages and as a way of making their husbands happy. In case a woman fails to deliver or to give birth to a child, she was divorced. In other words, this culture made women to lose their identity as individuals. They were only recognized by the number of children that they give birth to and more so boys were more superior to girls. This is an oppressive and unfair lifestyle and culture within the cycle of marriage to an African Woman. The expectation of a polygamous marriage is a high number of children. The inability to provide the needs to such high families has constantly put pressure on the heads of the family (husbands). It was used a measure of a “real man” in the African context. The above problems often lead to conflicts in the family and in advanced cases leading to family break-up. The failure of a man to manage and control his wealth effectively could often diminish his economic power, reputation, and respect accorded by the society. As a result, this could lead to humiliation, frustration, and psychological trauma to the man. Although, wealth being one of the decisive factors that are put into scale by a man before going for multiple wives, a few of them will have enough resources to gather for the several women and children. This will make the husband to spread or distribute the limited resources among the women. In this case, women in polygamous marriage experiences limited resources and financial support as compared to women in monogamous marriage. Wife inheritance creates also problems both to the children and the wife. The husband might be partial on how he treats the inherited wife and children in regards to his own wife and children. This creates family conflicts between children as well as wives that usher in pain rather than pleasure in the family. In conclusion, the above paper has revealed that the world of unknown has really revealed things that were unknown. This marriage setup called polygamy and the harmful African cultures not only affect the husband and wife, but also cascades the problems down to the children who are the products as a result of marriage. Children become the victims of circumstances which they have no control over. This problematic and conflicting family issue instills trauma in children which affects their studies and the social approach to life. Bennion, J. (2008). Evaluating the effects of polygamy on women and children in four North American Mormon fundamentalist groups. Lewiston, NY: Edwin Mellen Press. Broude, G. (1994). Marriage, family, and relationships. Santa Barbara, Calif.: ABC-CLIO. Petersen, H., Villaverde, J., & Lund-Andersen, I. Contemporary gender relations and changes in legal cultures.